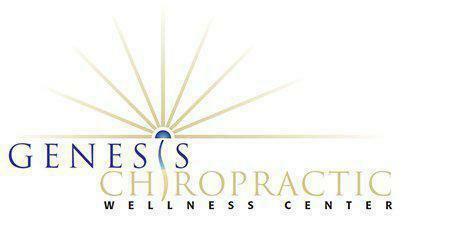 At Genesis Chiropractic Wellness Center, the doctors and staff have extensive experience in the field of chiropractic care. The facility serves the greater Chicago, Illinois area, including the West Loop. In addition to chiropractic care, the facility also offers cranial sacral therapy, massage therapy, physical therapy, and acupuncture. The doctor and her staff take great pride in being able to offer such a wide array of services and treatment options. By offering Reiki and acupuncture, Callista Lay, DC introduces the unique benefits of traditional Chinese medicine and Japanese healing techniques to her clients. This allows her to offer a unique blend of old world treatment options alongside the most current, state-of-the-art healing techniques that are available today. Callista Lay, DC is a Board Certified chiropractic physician who graduated from the National University of Health Sciences and has over 13 years of experience in the chiropractic field. She assumed management of Genesis Chiropractic Wellness Center in late spring of 2016, from the practice founder, Dr. Joel Rieff D.C. M.S.. Dr. Rieff still sees patients at the facility and is working with Dr. Lay to help keep the practice moving forward. Patients who began visiting the practice with Dr. Rieff can still find him and his high standard of care present, while Dr. Lay cultivates an influx of new ideas and health options. Dr. Lay is an actively involved in the Breathe Network, which connects victims of sexual abuse with trauma-informed providers and healers. Through her work with the Breathe Network, Dr. Lay strives to help survivors reconnect to their purpose and reclaim their confidence. Learn more about the Breathe Network here. Dr. Lay is certified through the International Chropractic Pediatric Association in the Webster Technique. This technique is a pregnancy-specific adjustment preformed to allow for optimal mobility in the pelvis and uterine ligaments, helping to facilitate better function of the pelvic and pelvic organs. Learn more about the Webster Technique here. Dr. Lay is also certified in Mercier Therapy, a deep tissue pelvic organ manipulation of the uterus, ovaries, and associated ligaments, which allow for better blood flow and function of the reproductive tissues. Mercier Therapy can be used not only for natural fertility and conception work, but also for all disorders associated with the uterus and ovaries, ranging from but not limited to endometriosis, fibroids, PCOS, painful periods, amenorrhea, scar tissue from surgery, C-section scar recovery, and much more. Find additional information on Mercier Therapy here.